HOW MUCH CASH DO YOU NEED TO INVEST IN BALTIMORE COUNTY REAL ESTATE? Baltimore County, Maryland, October 24, 2015 — Baltimore County continues to offer investors a fair share of returns despite the remnants of the real estate crash of 2008. One of the best attributes of the Baltimore County housing market is its proximity to major corporation and government employers. Todd Sachs of Berkshire Hathaway HSHS Realty has recently formed a group of Investor Specialist Realtors (Sachs Group) to help investors with cash capitalize on the current market in Baltimore County. According to the newly formed Sachs Group, location still stands tried and true in real estate investing. Additionally, the key to any great real estate investment is to buy low. 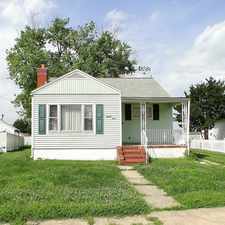 For investors who desire to build a rental portfolio, Baltimore County offers tremendous opportunity to purchase distressed properties in desirable neighborhoods from $50K-$70K. These houses can be prepared for rent in many cases for under $30K. This makes investor’s total investment less than $100K. Houses in this scenario can rent from $900-$1300 per month. On the flip side (no pun intended) you can purchase these same houses to flip for the same $50K-$70K, invest $50K-$70K in renovations and earn double digit returns in several months time. There is currently a shortage of finished, quality rehabs for retail sale in Baltimore County. So how much cash do you need to start building a rental portfolio or flipping houses in Baltimore County? “Our typical client who buys one property at a time, needs about $150K in cash to get started,” says Todd Sachs – Investor Specialist Realtor and Founder of the Sachs Group of Berkshire Hathaway HSHS Realty. “Sellers of distressed properties in many cases will only entertain cash offers,” Sachs says. Todd Sachs also advises that if you purchase for rental income, you should pay cash initially and finance the property once renovations are completed. This will return most, if not all of your cash back in your bank account to buy again. The Sachs Group works only with investors. If you have cash and a desire to earn returns through real estate, you can set up a meeting and learn how to get started with the Sachs Group. Visit www.sachsgroup.com for more information.